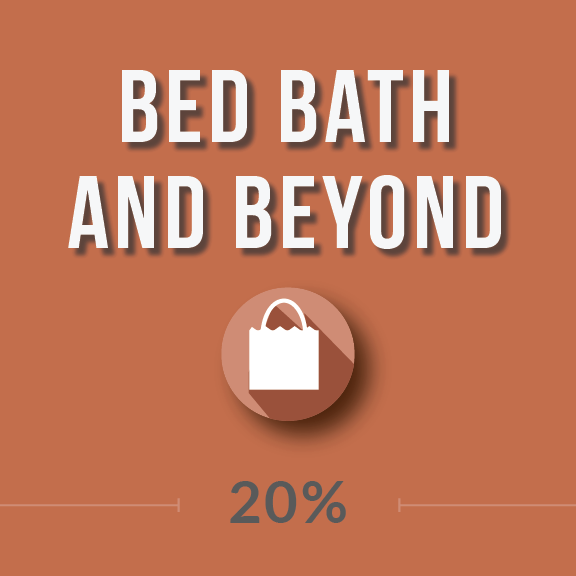 Bed Bath & Beyond offers a one-time 20% single-item discount for in-store purchase when you sign up for college emails. For college students living on campus, they also offer handy checklists for each school to let you know what to buy and bring to school. 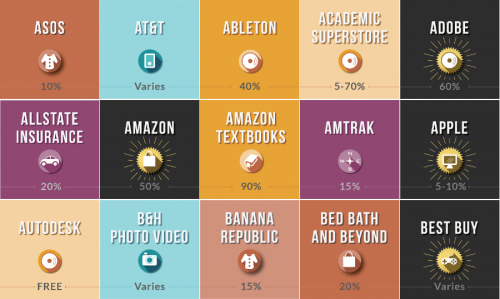 What does Bed Bath & Beyond offer to college students? When you first head to college, you need to prep the dorm room. Popular destinations include Target, Walmart, and for those with slightly classier tastes, Bed Bath & Beyond. BB&B will send you a 20% discount code to be used in-store on a single item. This is great for those big ticket purchases. The best part about this deal is you don’t have to verify your student status to receive the offer. This means almost everyone is eligible–college students, high school students, parents, and anyone with an email address. 2. Pack and Hold. If you are moving to a campus far away, save time by shopping at your home store and have it waiting for you in your new town. BB&B allows you to pick up at the store closest to your school at no extra charge. 3. School specific shopping lists. These are a little hard to find, but they are kinda neat. They tell you exactly what’s allowed and what your school recommends you bring. Send everyone you know a link to your college registry, and they know the perfect gift to get you. At a minimum, if you are going to do any shopping at Bed Bath & Beyond at all, it’s worth it to sign up for College emails (you can always unsubscribe later) and receive your 20% discount code.